In the early 1980's, headbangers In the Netherlands were flooded by a wave of young bands from England that played 'heavy metal'. Dutch bands couldn't stay behind and started rehearsing in basements and empty farm sheds to develop their own wave of Nethermetal. 'Iron Anthony' Lucassen (Ayreon) joined later and line-up changes with 'Mad Man' Axel Langemeijer behind the mike and Jeronimo on the bass did not deter the band from their mission, which was spreading the word: Bodinism. 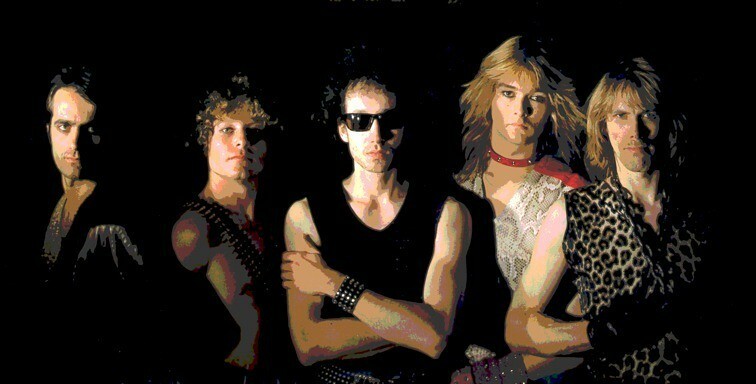 More solid hard rock followed on the albums "Bold as Brass" and "Three Times Running". The Netherstages shook when Bodine played 'Rock Machine' and 'Shout', which became instant metal hymns. They opened for many international acts that played gigs in the Netherlands. Read about the history of Bodine in three stages: the founding years, the recording years and what happened after June 1984.